Looking for a Used MKT in your area? CarGurus has 1,227 nationwide MKT listings starting at $3,200. 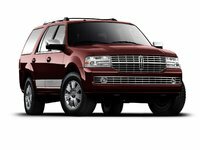 The Lincoln MKT is a seven-passenger luxury crossover that, since its debut for the 2010 model year, has understandably been mistaken for an ultra-cool hearse. Morbid resemblances aside, however, this pampering and powerful entry into the luxury fray adds some 5 inches of length to its more plebian Flex cousin and sits some 2 inches lower. Unfortunately, the MKT’s softer and statelier lines render its otherwise-handy third-row seating essentially useless to adults and results in considerably less head- and legroom all around than the less presumptuous Flex. Cargo capacity (with the rear seats folded) also suffers, dropping from the Flex’s 83 cubic feet to 76 cubic feet. The Lincoln name, however, has long been synonymous with luxury, and the 2011 MKT will not disappoint in that regard, with a smooth and quiet ride, a choice of powerful and economical V6 engines, and enough standard features, including the popular SYNC communications/infotainment system, to satisfy even the most gadget-needy. Available in three trims, the 2011 MKT offers one with front-wheel drive (FWD) standard, while the other trims add full-time all-wheel drive (AWD) for a hefty price. Designed to compete with the Audi Q7 and Acura MDX, the MKT 3.5L AWD trim is equipped with what many consider its most distinguishing feature, the turbocharged EcoBoost V6, a powerplant that outshines just about everything else in this cutthroat segment. The standard drivetrain for the 2011 MKT 3.7L trims, one of which includes all-wheel drive (AWD), consists of a 268-hp, 3.7-liter V6 and six-speed auto-manual transmission that combine to pound down some 267 lb-ft of torque. Capable of towing 4,500 pounds of trailer, the front-wheel-drive MKT 3.7L trim gets an estimated 17/23 mpg, with the 3.7L AWD good for 16/22. Moving up to the MKT 3.5L AWD gets you the EcoBoost engine, a direct-injected 3.5-liter twin-turbo V6, again with the six-speed auto-manual transmission, which is a lot of engine for the money. This potent combo puts out 355 hp and 350 lb-ft of torque, still tows 4,500 pounds, and gets an estimated 16/22. Both V6 powerplants feature variable valve timing and deceleration fuel cutoff to improve mileage numbers. The 2011 MKT, though accused of a bit of quirkiness, design-wise, nevertheless features such standard appearance items as 19-inch painted alloy wheels (20-inch alloys for the 3.5L AWD), a front and rear fixed sunroof, and a rear spoiler. Standard cabin amenities, on the other hand, are luxurious, plentiful, and state-of-the-art. Such amenities include leather upholstery, multi-level-heated and power-adjustable front bucket seats, split-folding second- and third-row bench seats, digital keypad power locks, remote-capable power windows, heated power exterior mirrors, steering-wheel-mounted paddle shifters, audio, and cruise controls, telescoping tilt-wheel steering, keyless ignition, a universal garage door opener, tri-zone climate control, leather, wood, and simulated alloy trim, memory for driver's settings, rear-view camera, single-CD player with ten speakers, Sirius satellite radio, SYNC infotainment with Bluetooth hands-free communications, and a USB connection. Options run the gamut from a hard-drive-based, voice-activated navigation system, THX II-certified surround-sound audio with 600 watts and 14 speakers, the power Vista Roof, and rear-seat DVD entertainment to 20-inch polished aluminum wheels, heated second-row bucket seats, a Class III trailer towing package, and a second-row, five-quart console refrigerator. Safety-wise, the 2011 MKT delivers standard four-wheel ABS, traction and stability control, dual front side-mounted airbags, three-row head airbags, turn-signal-integrated mirrors, adaptive, self-leveling HID headlights, front fog/driving lights, remote anti-theft alarm, rear parking sensors, the MyKey speed and audio volume limiting system, and the SOS post-collision alert system. Safety options include a blind-spot warning system and adaptive cruise control with collision warning and emergency brake preparation. 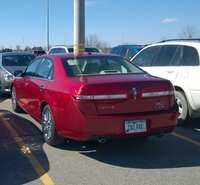 As is traditional with Lincoln products, ride comfort is a huge plus in the 2010 MKT. However, its hefty price, dubious mileage expectations, and super-scrunched third-row seating don’t exactly endear themselves to owners. Additional positives mentioned by owners, on the other hand, include the power and performance of the turbocharged EcoBoost V6, the quiet cabin, reasonably alert handling, cabin room, and the ever-popular SYNC system. Additionally, the available THX II-certified audio system garners numerous kudos from owners. 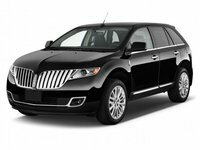 What's your take on the 2011 Lincoln MKT? 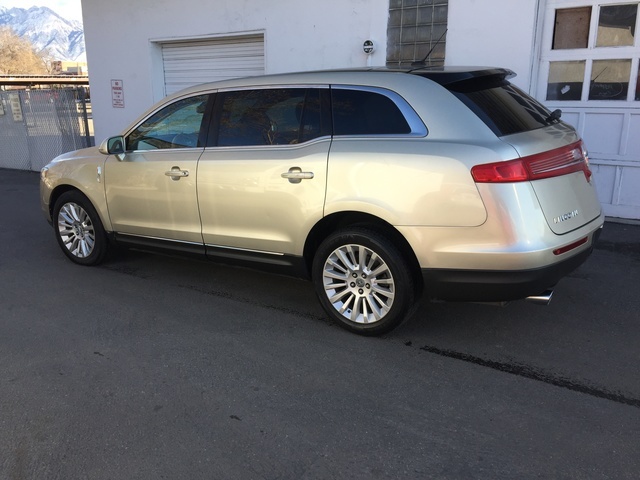 Have you driven a 2011 Lincoln MKT?